This hand crafted 4 bedroom home is full of character & warmth. Using all natural materials including mud brick the home says cool in Summer & warm in Winter. Whip up some alpine delights in the fully equipped kitchen including gas cooking & dishwasher with redgum benchtops overlooking the open plan living & dining areas. Start the day with a perfect coffee every time from your Nespresso coffee machine. Catch up with family around the big timber dining table. Cosy up on the comfy lounge and warm by the enclosed wood fire with a good book. Enjoy the ambience with the new Ipod dock sound system. Relax in the sunny parent's retreat with French doors opening to your covered patio. Watch the kangaroos graze on the lawn as you relax on your comfy wicker sun lounges. Enjoy the large flat screen TV from the cosy couches or the sunny patio. Sneak in some work time on the beautiful timber desk hidden away under the beautiful hall feature window. The 4 lovely bedrooms sleep up to 8 guests in comfort. The romantic & spacious master bedroom features a queen bed with electric blankets. The 2nd & 3rd bedrooms both feature double beds with electric blankets. The 4th bedroom has a single bunk also with electric blankets. All bedding & linen is supplied as well as quality toiletries for you. The gorgeous timber bathroom features a bath with overhead shower, as does the ensuite. Bubbles for the kids and Radox for everyone else to unwind after a long day exploring the region. The huge garden gazebo is perfect for outdoor wining & dining with a gas bbq and decorative lanterns taking in spectacular mountain views. Harrietville - Relaxation or adventure? 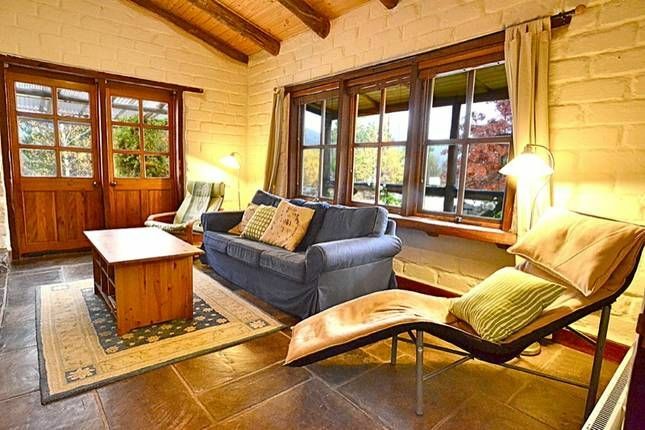 Feathertop Retreat is the perfect place to unwind and enjoy the magnificent natural surrounds that Harrietville offers. This beautiful, peaceful town also offers plenty of entertainment and excitement! Perhaps you could stroll down to the old swimming hole for a dip and a BBQ of fresh fish you've caught. 'Tronoh Lake', just a short stroll from the property has a jetty for fishing & dipping your toes in as well as a pontoon for the adventurous swimmer or you could just find a private spot along the crisp, clear Ovens river. Make your way back past the ice creamery for a home made ice cream and a play at the park. While your at it check out the historical museum before stopping off at one of the cafes for a fantastic coffee. As the sun sets over the mountains, relax on the balcony of one of two hotels and sip a glass of local wine. Looking for something a little more adventurous, take the world famous walk to Mt Feathertop. Or maybe one of the more gentle paths? Cycle the Great Alpine Road or head up to Hotham for some skiing or mountain biking. Fishing, hiking, tubing, 4WDing, if you're only staying for the weekend, you'll be back! And of course, there is plenty to explore out of Harrietville with Bright just 25kms away. Acclaimed wineries and restaurants are within your reach. Then you can visit Milawa, Beechworth, even take the easy drive to Falls Creek. 1-2 guests offers 1 bedroom, 3-4 guests offers 2 bedrooms, 5-8 guests offers 4 bedrooms. Base rates provided are for 4 guests. Extra guests will attract extra charges. Amazing place, comfortable and clean. We had a very comfortable stay. We where skiing at Mt Hotham for 2 days and when we arrived on Friday night the fire was stacked ready to go. The place was warm, comfortable and clean. Beautifully designed property in very quiet location. We stayed 5 nights whilst skiing at Mt Hotham, about 45 min. away. Well stocked with everything you need and the house has real charm and style. Loved the atmosphere, and sitting around the fire. Big enough to cater for 2 families. Nice house, fairly well equipped and the property manager is great to deal with. Harrietville has good coffee, good ice cream cones and a fresh water lake. Pretty much all you need.